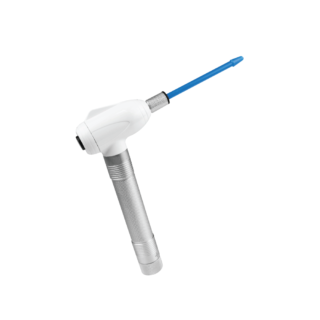 TT-13K Mini Handheld Homogenizer is a light and portable handheld device ideal for homogenization of biological samples and resuspension of pellets in 1.5 ml or 2.0 ml microcentrifuge tubes. With constant rotational speed of 13,000 rpm and high efficient micro DC motor, it is capable of grinding and homogenizing various sample types including plant and animal tissues as well as cell disruption. Powered by 2 AA batteries, it is excellent for field application where the use of electrical cord is eliminated. 10 pieces of disposable plastic grinding pestles are included in every package to avoid contamination of precious sample. Stainless steel grinding pestle is also available as an option. What is the rotational speed? It has a constant speed of 13,000 rpm. What kind of application can it be used for? 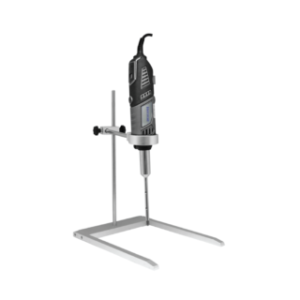 It is designed for homogenization of various solid/liquid samples and the cordless feature makes it ideal for field application. Can the grinding pestles be autoclaved? The stainless steel pestles are autoclavable. The plastic pestles are meant as disposable pestles and not recommended to be reused. This also helps to eliminate cross contamination. Can the grinding pestles be purchased separately? Yes, both plastic and stainless steel grinding pestle can be purchased separately. 10 pcs of plastic pestles are provided as standard accessory.